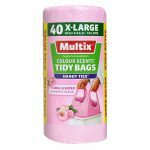 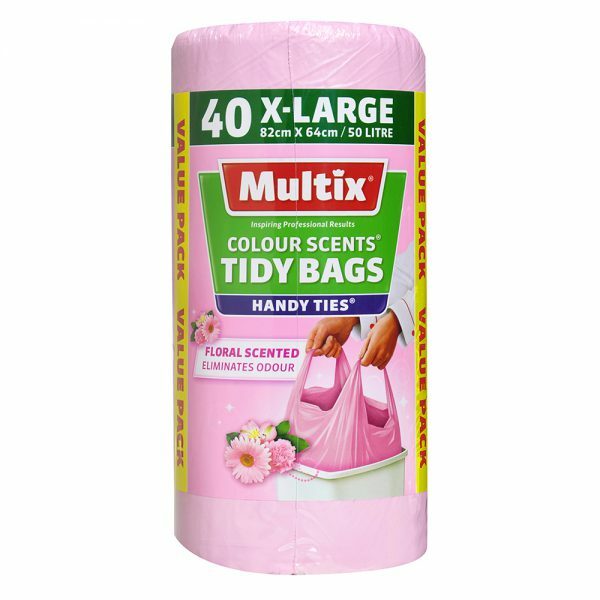 40 X-large Colour Scented Tidy Bags with handy ties and floral scent that eliminates odour. 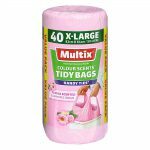 Designed to fit bins up to 50 litres. 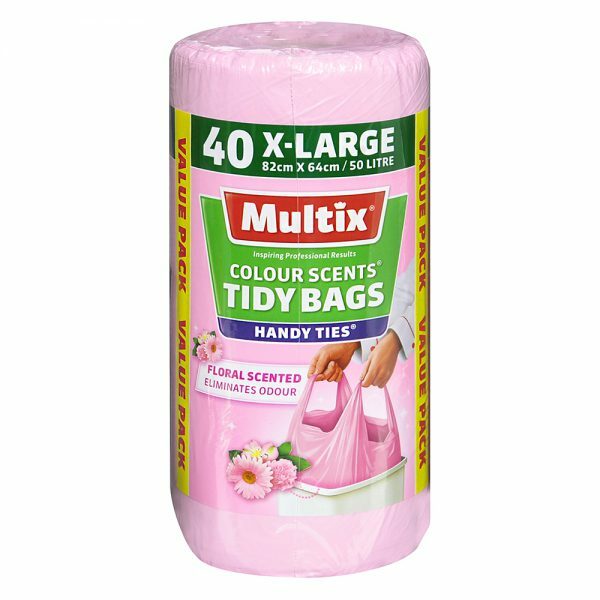 Size: 82cm x 64cm.